Shorthanded Culver Lady Dawgs basketball team is on first losing streak; can't get healthy. The Culver Lady Dawgs struggled this week, losing to both Gervais and Western Christian on the road. Irma Retano, the team leader in points, steals, and rebounds, has been injured. She played part of game in the Lady Dawgs' 55-32 loss to Gervais and did not play in the team's 32-18 loss to Western Christian. "Gervais has perfect personal for that 1-3-1 zone they run and it is very hard to get good looks against them," head coach Scott Fritz said. "We just really did not play basketball. In both games this week, we are not executing, making freshman-level mistakes. When we get good looks, we don't make the shots." "It is tough when you lose three girls last week and it has really affected the way we play," he said. "We had a long talk after the Western Christian game and we can't make an excuse for the way we have been playing." "Everyone has to step up," said Fritz. Defensively, we are having breakdowns. Not so much making adjustments, just putting people in the right, different roles. In the Gervais game, Retano was the leading scorer with 11 points, while also adding five rebounds and four steals. 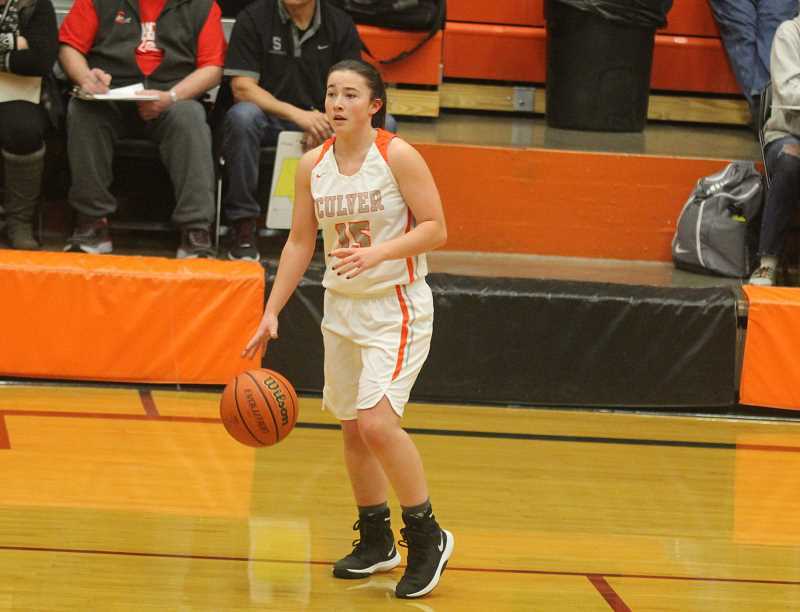 Mikayla Haessler scored six points, while Nena Mendoza and Mia Gamboa both added five points for the Lady Dawgs. Culver has lost four of their last five games and after starting the season 10-1, the Lady Dawgs are now 11-5 overall, 3-4 in league. The team's goal of being ranked in the top 10 in still alive. As of Jan. 21, Culver is ranked No. 11 at the 2A level, but they are have moved to sixth place in the very tough Tri-River Conference. The Lady Dawgs have a home game Thursday, Jan. 24 against Sheridan and a home game against No.1-ranked Kennedy Monday, Jan. 28.